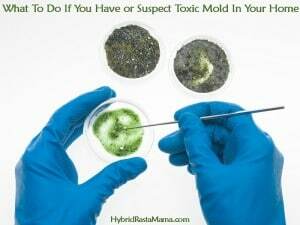 You know that old saying… “Once Bitten Twice Shy?” This is particularly true if you have been a victim of toxic mold and/or suffer from Mold Related Illness, AKA Biotoxin Illness AKA Mycotoxmosis. 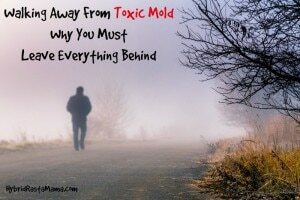 Once you’ve suffered at the hands of toxic mold, moving forward with life becomes a daily mental struggle. 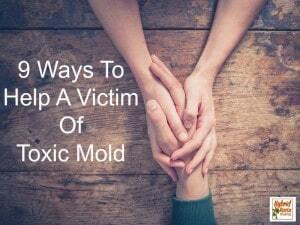 What happens to victims of toxic mold from an emotional standpoint and a mental health standpoint is extraordinarily difficult to explain to someone who hasn’t been through it. To those watching from the outside, “getting on with life” should be pretty straightforward. But this simply isn’t the case. 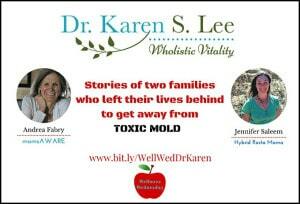 Once bitten by toxic mold leads you down a road of anxiety, stress, second guessing, and confusion. I can say this with authority because I’ve been there, I am still there, and I will be there for the rest of my life. 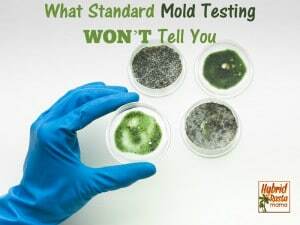 Mold, ALL mold, becomes the enemy. You become acutely aware of it. You look for it. You wait for it. You hunt it down. You fear it. You have to. Sometimes it is a matter of life or death. 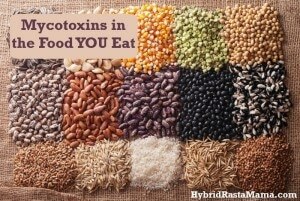 Re-exposure to mold and mycotoxins could literally spell The End. 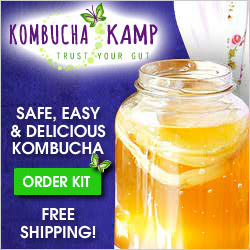 So how does one go about preventing mold, avoiding mold, and adapting to “the unknown” without going absolutely insane with worry, doubt, and mold paranoia? I’ll be honest. It’s tough. But there comes a point where you have to reconcile fate with the fact that life is to be lived Today. Now. And so you live it, as best you can, imperfectly, pushing back fear, holding onto hope. 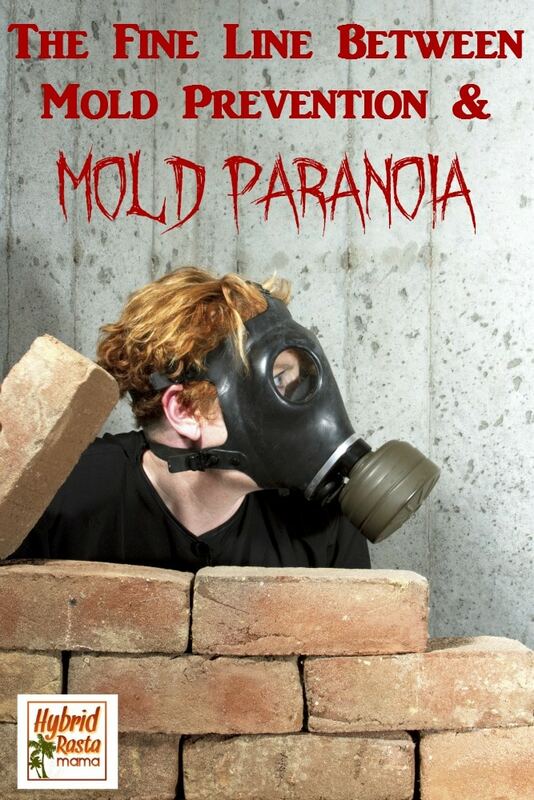 Mold paranoia doesn’t help you move forward with your life. The most difficult part of getting on with life is the waiting…waiting for “it” to happen again. Because it will. I learned that personally. 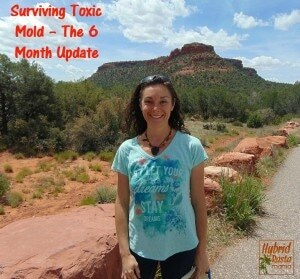 Having toxic mold strike twice (and eventually many more times) didn’t make it any easier to get on with life nor did it suppress the mold paranoia that insisted on rearing its ugly head. For longer than I care to admit, I was on edge when anyone would come into our apartment. I feared that they brought in mold spores. I was a wreck making purchases. I feared that they were already contaminated. I worried about those sneaky mold spores holed up in my car. I overinspected every drop of water in our apartment. Is it from a leak? Oh, just a droplet from my daughter’s water cup. Any discoloration on a baseboard made me go into hyper overdrive. Is that REALLY just dirt? That is no way to live. And yet – as a mode of survival it was how I HAD to live. 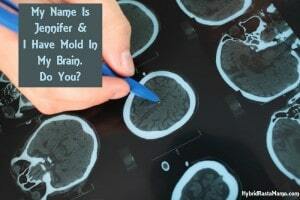 On the edge of mold paranoia and simply being diligent. 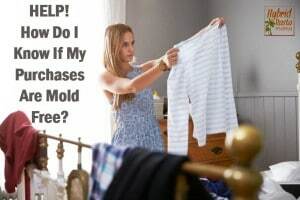 People often wonder why victims of toxic mold exposure are so rigid about things such as the “stuff” they purchase or otherwise obtain and bring into their living space; about having a “safe sleep” space; about having thousands and thousands of dollars’ worth of expensive HEPA air filters. It’s because our survival and our mental health depend on it. Each of us has learned our triggers. We know our limits. We know our comfort levels. 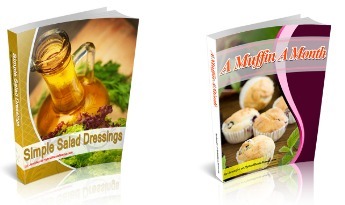 We know what can help or hurt our health. Something as simple as a trip to the store can negatively impact our recovery and long-term wellness. 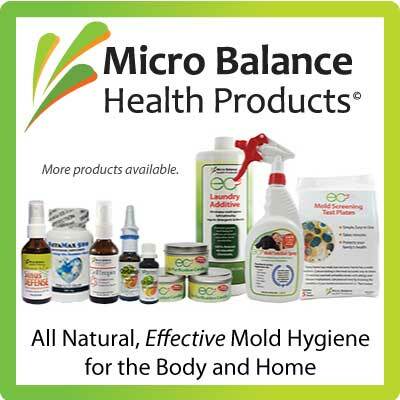 If that store is a water damaged building, chances are there are mold spores and mycotoxins on the products. 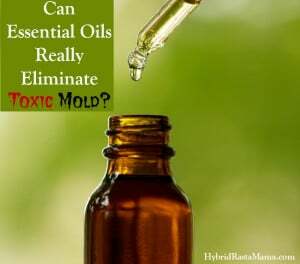 Even if the store itself is mold free, we still don’t know the status of the building where the products were housed before making their way onto that particular store shelf. Buying used or accepting donations brings about the same issues. How do we know that these items were really from a mold free home? What about travel? 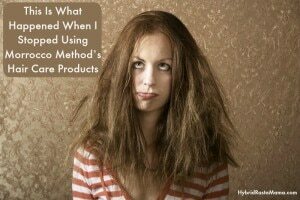 Staying in motels, at friends’ and family’s homes? Flying? Renting a car? 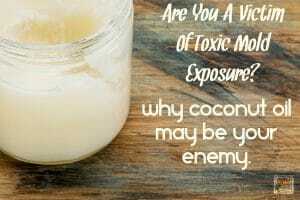 Is it worth the risk of potential re-exposure? Do you become a hermit and never leave your safe space once you find it? 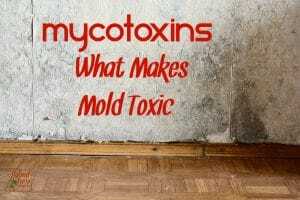 I am in a lot of toxic mold support groups and let me tell you – there are a LOT of people out there that literally live with next to nothing because the risk of exposure to mold and mycotoxins is simply too great. Other people watch their body for cues but move forward in life without worrying too much over a potential re-exposure. 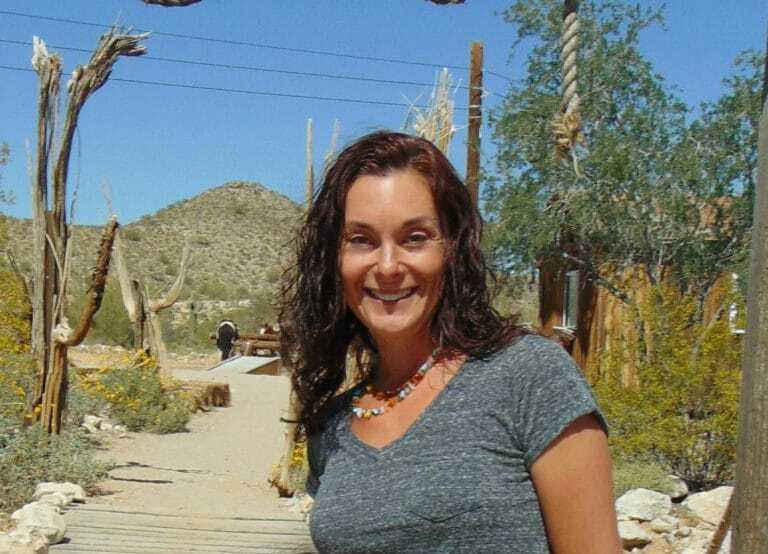 Some people get up, go to work, travel, visit friends and don’t let the risk intrude into their enjoyment of life. Others know that one night in a motel could spell a fate worse than death when it comes to their health. 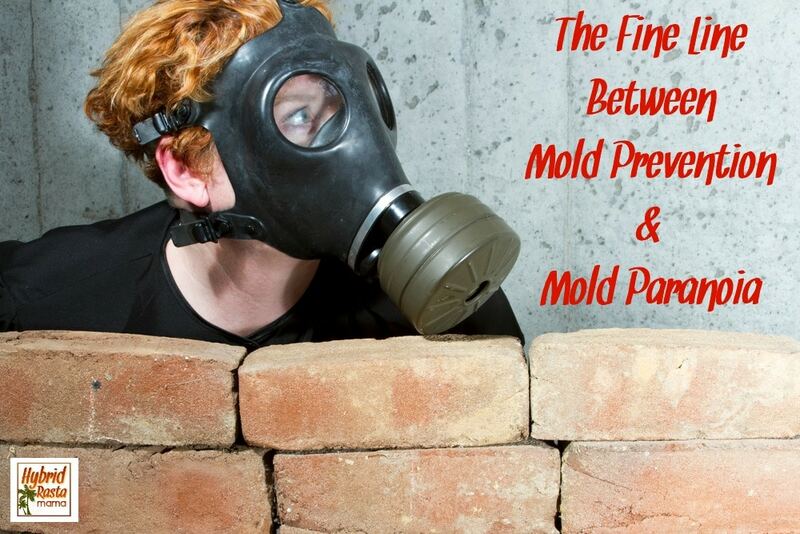 So how DOES one focus on mold prevention in a healthy manner without letting the mold paranoia take over? (Notice that I am asking this question again? It’s because I can’t really answer it for anyone other than myself.) 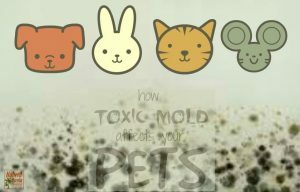 For me, allowing mold to intrude on my enjoyment of today means that I let mold win. It means that I gave up. It means that I can’t see a future without mold. 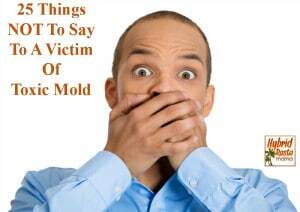 I refuse to let mold win. 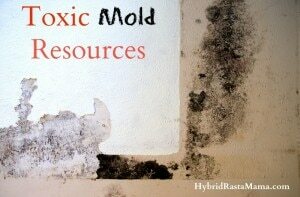 I will forever acknowledge mold. 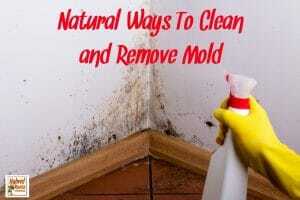 I will be mindful of the conditions that create mold and allow it to flourish. 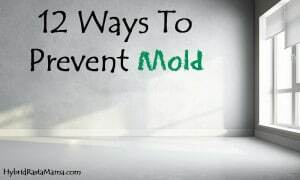 I will be proactive in preventing mold. 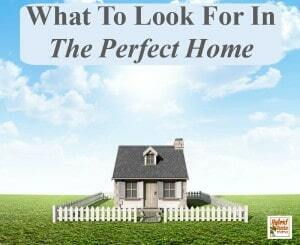 I will make wise choices when it comes to living arrangements, travel, houseguests, and purchases. But I will also do so in a way that doesn’t intrude on my ability to live out the rest of my life. I can’t let my life become mold. Mold might try to destroy me but I will fight back with everything in me, even if I have to do it again and again and again. I’m not naïve. I’m sure that I will face some sort of re-exposure. But I won’t let the “when will it happen” consume my every thought. Moldies are fighters. Moldies are survivors. 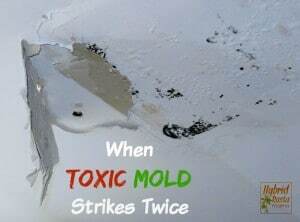 Mold likes a challenge and when it picked me, it got one. And that is how I am able to face each day.